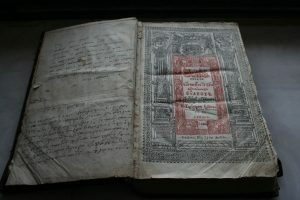 A Gospel Book in Bulgarian which is almost 400 years old, and was printed in the Cyrillic alphabet in Vilnius, then in the Polish-Lithuanian Commonwealth, has been found among the belongings of a deceased priest who served in a church in the town of Voynezha, near Veliko Tarnovo, Central North Bulgaria. The find is seen as extremely significant because print books in Bulgarian of such age are rather rare, but also because it contains handwritten notes about historical events, the National Museum of History in Sofia has announced. 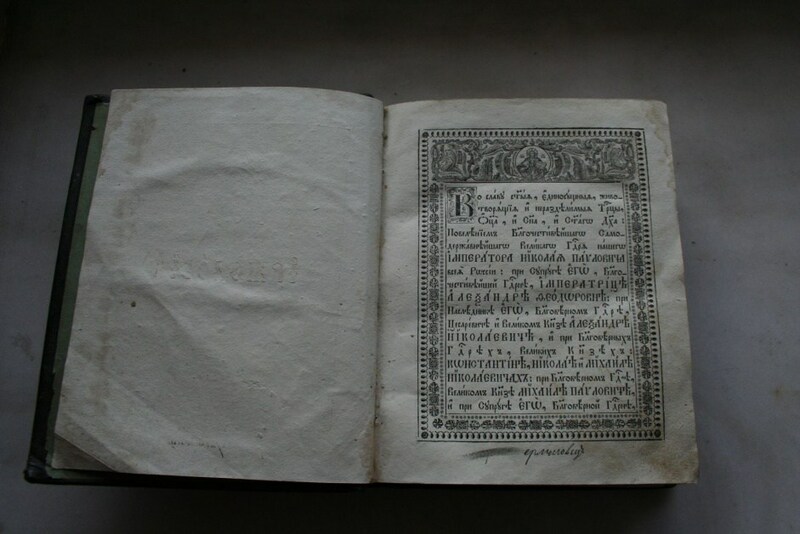 The Gospel Book in Bulgarian was printed in in the Cyrillic (Bulgaric) alphabet in 1644 in Vilnius, the capital of today’s Lithuanian, back then the capital of the Grand Duchy of Lithuania, and, respectively, one of the capitals of the Polish-Lithuanian Commonwealth. At the time, Bulgaria was part of Ottoman Turkey, a period known in Bulgarian history as the Ottoman Yoke (1396/1422-1878/1912). The rich cultural heritage of the Old Bulgarian language of the medieval Bulgarian Empire influenced other Christian countries in Southern and Eastern Europe in its time. After the Second Bulgarian Empire (1185-1396/1422) was conquered by the invading Ottoman Turks, it was preserved in Bulgarian monasteries but also abroad, including by Bulgarian clergymen and scholars fleeing the invaders. 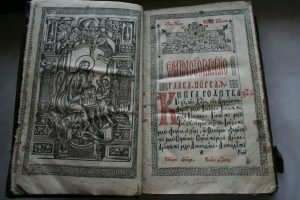 The newly found Gospel Book was published by the printing house of the Brotherhood of the Holy Trinity in Vilnius, which in 1596 was renamed to “Descent of the Holy Spirit”, says the National Museum of History in Sofia. It adds that this was one of the printing houses in the Grand Duchy of Lithuanian and the Polish-Lithuanian Commonwealth which published books in the Bulgarian Cyrillic alphabet at the time, and that in fact towards the second half of the 16th century, Vilnius had become the largest European publishing center for books in Cyrillic (Bulgarian). Between 1596 and 1705, a total of 74 books in Cyrillic were published by the printing house of the “Descent of the Holy Spirit” in Vilnius, “an impressive publishing output”, according to the Museum. “The book… is richly decorated with dyes and ornate initials, the font is large and solemn, the pages are framed with decorative elements. Apparently, the book was actively used for religious services and reading: many of the pages have traces of candle wax, and the lower edges where the pages are turned are stained and worn out,” the Museum explains. The endpapers of the Gospel book feature notes on historical events by different people which are yet to be studied. One of the notes is dedicated to the so called Velchova Zavera (“Velcho’s Plot”) in 1835, an attempt by the Bulgarians in Northern Bulgaria to rise in rebellion against the Ottoman Empire led by Bulgarian merchant Velcho Atanasov (ca. 1778-1835) and Captain Georgi Mamarchev (1786-1846), a Bulgarian officer from the Russian army, and uncle to Bulgarian freedom fighter and ideologue Georgi Rakovski (1821-1867). The plot, which was crushed jointly by the Ottoman Empire and the Russian Empire, as the two enjoyed closer relations at the time, is said to be one of the least known episodes in the Bulgarians’ struggle for liberation from Ottoman Turkey. 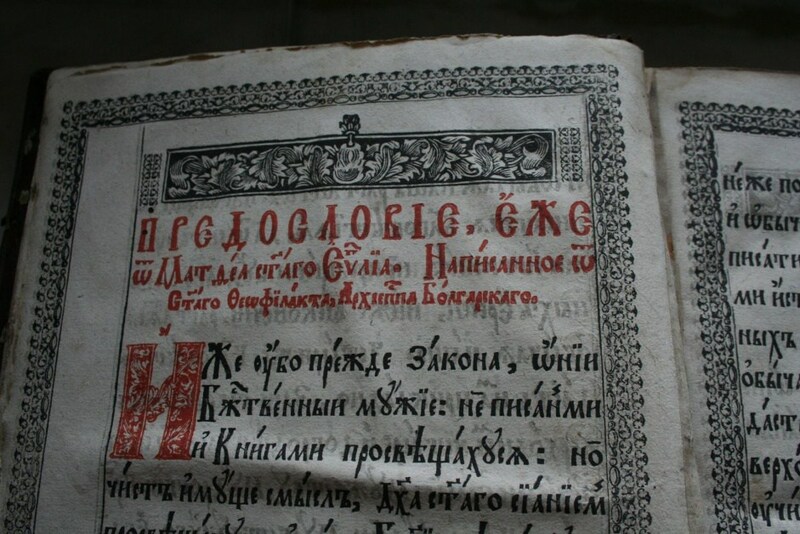 The Bulgarian Gospel book in Cyrillic published in Vilnius in 1644 has been found among the belongings of Father Penyu Tsvyatkov Penev who served in the St. Elijah the Prophet Church in the town of Voynezha near the city of Veliko Tarnovo. Penev passed away two years ago, and has been donated to the National Museum of History in Sofia by his heir, Penka Dragneva-Ilieva. The precious book is believed to have been kept secretly in the church, having been passed on from one priest to the next for many generations. 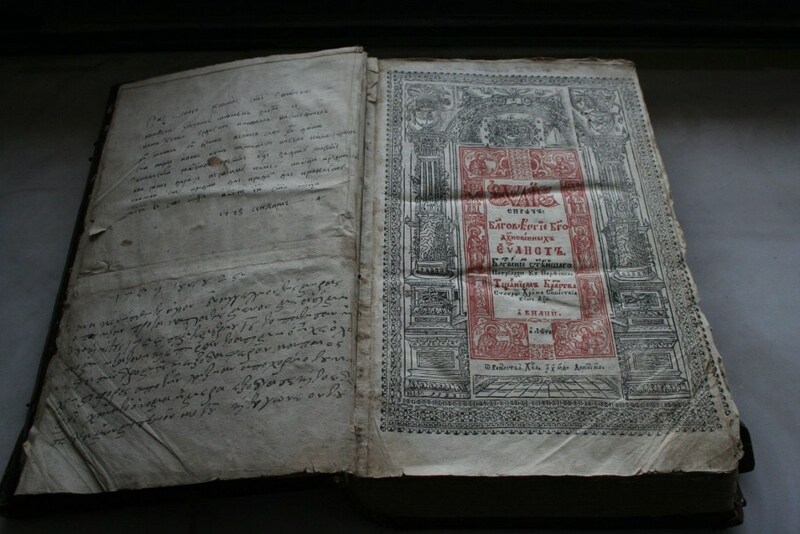 “In my 40 years of experience [as a historian], I have found only one [print Bulgarian] book that is older [in a Bulgarian church]. 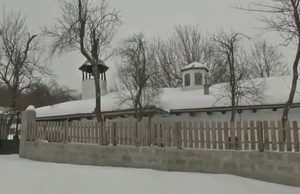 There are about 7,000 churches in Bulgaria, and several thousands more in former Bulgarian territories,” Bozhidar Dimitrov, Director of the Museum, has told Nova TV. 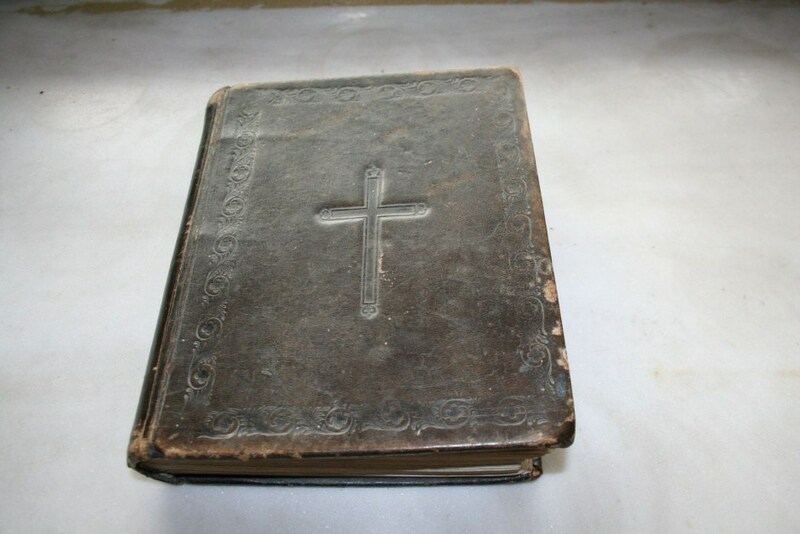 Voynezha Mayor Stefan Stefanov is quoted as saying that numerous historical artifacts such as the book in question have been found in the area hidden in wooden floors, barns, etc., and some have been discovered during a recent renovation of the St. Elijah temple (built in 1835). 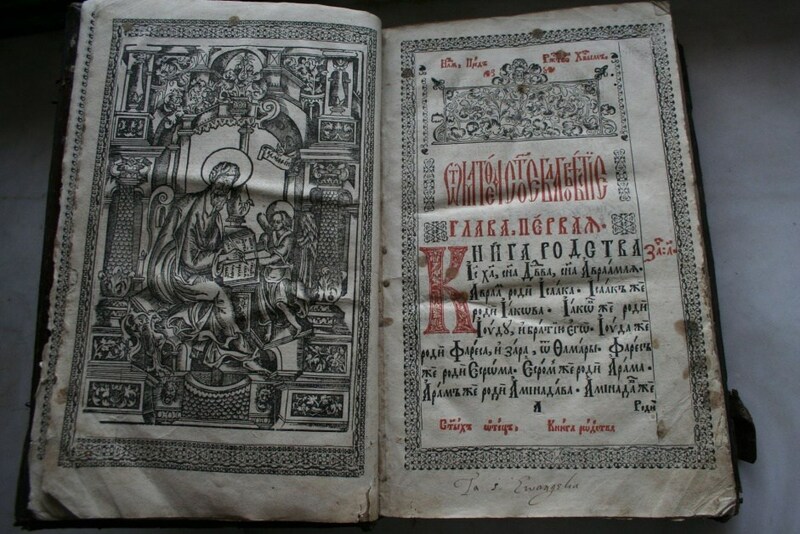 In addition to the 17th century Gospel Book, another valuable book has also been found in Father Penyu Penev’s belongings, and donated to the National Museum of History in Sofia: an irmologion (Eastern Orthodox liturgical book) in a Church Slavonic, i.e. 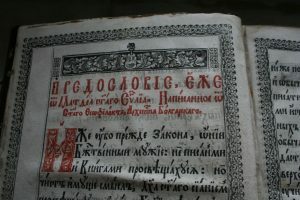 Old Bulgarian font published in Moscow in 1838. 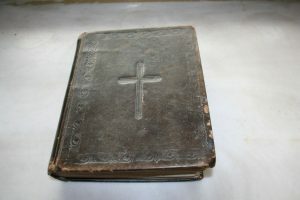 The 19th century irmologion has a leather binding stamped with a cross on its front cover. Its endpaper contains a note written by protopsalt (“lead cantor”) Georgi Bonekov connected with the 1955 Pogrom against Eastern Orthodox Greeks in Istanbul, Turkey. According to what is described as an “emotional” note, a bombing was carried out against the Turkish consulate in Thessaloniki on September 6, 1955, which led to the Istanbul Pogrom (the bomb was later revealed to have been planted by a consulate employee). 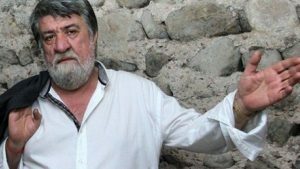 Bonekov describes the Pogrom as a “horrific persecution of the Christians and their priests in Constantinople”, and says the damages to the Orthodox Church in Istanbul were worth “over 100 million American dollars”. “The[se] books are an exceptionally valuable addition to [the collection of] the National Museum of History. They enrich the literary cultural heritage owned by the Museum, and are to be exhibited shortly in its permanent collection,” the Museum states. This entry was posted in Art History, History, Religion. Bookmark the permalink.